The Sixers unveiled new alternate uniforms last week, and they’ll wear them in-game for the first time Friday against Charlotte. Inspired by the “Rocky” films, the new threads have a lot of small details that tie the look together. The grey is based on Rocky’s training sweatsuit. The 13 stars are borrowed from the boxing ring in the film’s championship fight. 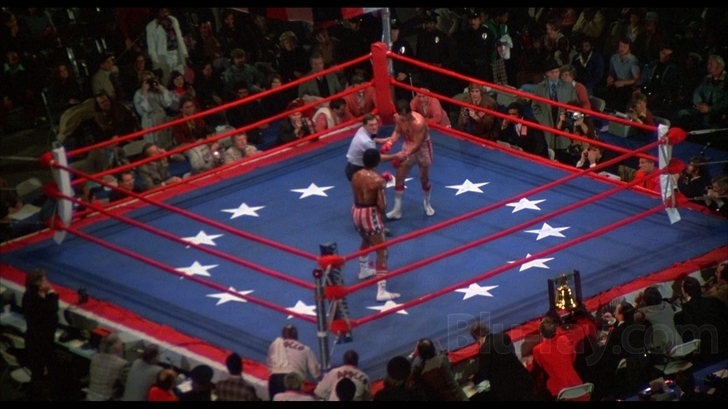 And the red, white, and blue striping matches Rocky’s championship belt. All in all, they’re pretty sharp uniforms. Of course, the jerseys are also somewhat promotional, coinciding with the release of the new Rocky film Creed II, which comes out on November 20th. But hey, almost everything comes with a sponsorship now a days. The Sixers are, if nothing else, a team that generates discussion. And they had some notables games in the past week. After an early season loss to Detroit in which Blake Griffin scored 50 points, Philadelphia got revenge, courtesy of Joel Embiid’s 39 points and 17 rebounds. He abused fellow rival Andre Drummond and kept him in foul trouble all day long (Embiid shot 23 free throws, and made 18 of them). And of course, Embiid took to social media to assert his dominance over the fellow big man. Embiid is in the midst of a tremendous start to the season. He has scored 30 points and 10 rebounds in 7 of the teams first 10 games, something that only Wilt Chamberlain has done in team history. He also notched his second career 40 point game in a win against the Clippers. Despite their 4-2 record in the last six games, the two losses were quite ugly. The Toronto Raptors, a daunting hurdle in the Eastern Conference thanks to the addition of Kawhi Leonard, completely handled the Sixers 129-112. Ben Simmons had one of his worst games as a pro, turning the ball over a career high 11 times (although, hey, he still had a triple double). Five days later it wasn’t just Simmons that had a bad game; the entire team did, this time to the lowly Brooklyn Nets in a 122-97 defeat. Simmons didn’t mince words after that loss. Granted, the Brooklyn game was the second of a back to back (their third of the season already, with eight more to go). They have yet to win the second game of a back to back this season. Excuses aside, the Sixers cannot afford to drop games to teams like Brooklyn. The Nets may play hard, but losses to that team will haunt the Sixers in the standings down the line. Yikes. In each of their five losses, they’ve been outscored in the second half. And the 2nd half disparity has made some of their wins closer than they should be. Besides blowouts against Atlanta and Chicago, two of the worst teams in the league, none of the Sixers wins have come by more than 10 points, and three of their five losses have come by more than 15 points. So what’s the reason for all of this? Lack of adjustments at halftime? Player fatigue? It might just be that they’re playing poorly, at least that what Embiid thinks. He’s right about one thing; they turn it over a lot. This year they rank 27th with over 16 per game. Turnovers been a problem that has plagued the Sixers for years, and unfortunately it doesn’t appear to have changed so far this season. Another concerning trend early in the season; the ugly losses have all come on the road. The Sixers playing generally playing better at home is nothing new; they were an excellent team at home last season (30-11) and just over .500 on the road (22-19). But this year, they’ve been much worse on the road. They didn’t get their first road win until this week against the Pacers. The atmosphere at the Wells Fargo Center is pretty energetic, but the team will have to figure out how to win on the road at some point. There’s a saying in sports; it’s not a series until a team wins on the road. There’s obviously more to winning games than have good stats. But some of the Sixers’ overall numbers are concerning signs. Playoff games are always closer, and they’ll have to reduce mistakes and perform better for the entire game if they want to at least win a round. It can be hard to see the forest through the trees some times. There are some positive signs in how the team is playing right now. For example, the Sixers have a better bench scoring unit than last season. They’re getting 38 points per game from their bench, as sevem better than last season. Most of that is JJ Redick, second on the team in scoring, coming off the bench rather than starting like he did last season. But they are also getting meaningful contributions from new players as well. Rookie guard Landry Shamet has carved out a place in the rotation. He’s shooting 39% from deep and has reached double digits in five of the last six games. His shooting is smooth as can be, but his teammates and coaches are particularly impressed by his willingness to improve. The comparisons to Redick are appropriate, since Shamet has spent a lot of time with Redick to improve. The two reportedly sit next to one another during flights. With an up close look, Redick has come away impressed. Shamet isn’t the only source of scoring. Mike Muscala, acquired via trade over the summer, has found his scoring touch after a brief delay to his season. Muscala’s ability to stretch the floor has made him playable in lineups with other big men, including Joel Embiid. It’s still early in the season, so the sample sizes for lineup stats are somewhat skewed, but most lineups with Embiid and Muscala on the floor have a positive net rating. He will briefly miss some time with a broken nose, but that probably won’t keep him out for very long. The best part for Philadelphia is that it’s not inconceivable that their bench unit could get even stronger. Wilson Chandler finally made his debut on Saturday against Detroit. While he may not have he scoring chops of Shamet or Muscala, he’ll give the reserves a boost on defense because of his versatility. Two players who haven’t seen the court much this season, Furkan Korkmaz and Jonah Bolden, find themselves in interesting positions. The team did not pick up Korkmaz’s 2019 option, potentially leaving him without a team next year. The second year forward from Turkey has been relegated to garbage time, and hasn’t even made a true impact in those spots. With his future in doubt, he’s trying to remain positive. Bolden finds himself in a slightly different territory. He signed a four year contract this summer, so the team is seemingly taking a more patient approach. But like Korkmaz, Bolden has struggled to find playing time. To keep him fresh, the team has frequently sent him to the Delaware Blue Coats so that he can practice. He also has suited up for the Blue Coats, and had a very strong game over the weekend; 28 points, and 16 rebounds. It’s probably frustrating for players like Korkmaz and Bolden, once highly praised by the organization, to find themselves so far removed from the rotation. But how they respond to the challenge to improve will say a lot about their value to the Sixers moving forward. 7 for 6: Cracks in the Armor?